This inutero foal comes from a very strong jumping pedigree that is proven throughout on both the Sire and Dams side for many generations back. The who's who of the jumping world. Trixie (Ahorn x Imalve/Ekstein) although large in stature at 17.2hh, has the kindest temperament and is light on her feet. With a cat-like jump - she jumps a 4 foot oxer from a trot like it was cavaletti. Trixie produced a lovely stallion son by Goodtimes, but was unfortunately injured as a young foal. Her next colt by Pacific Star STV is beginning his under saddle training. 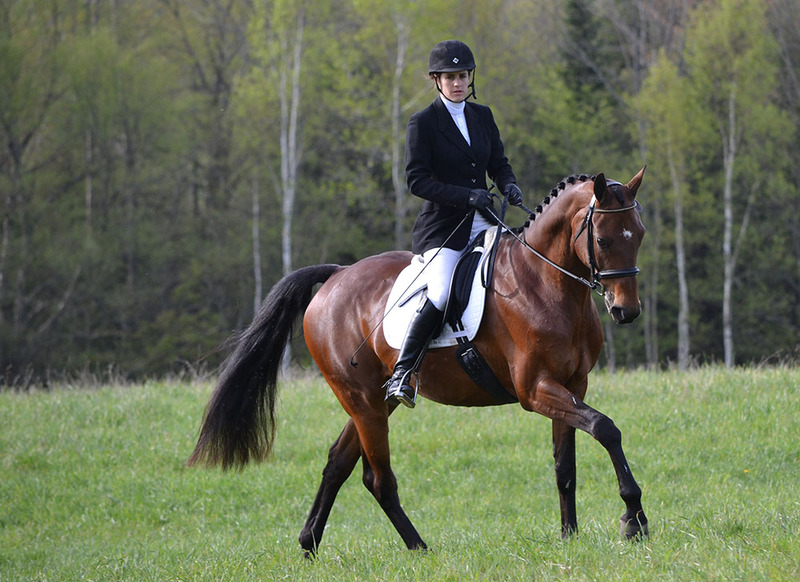 Trixie comes from a very strong Dutch line of performances horses. Her sire Olympic Ahorn competed at top International level consistently placed in World Cups and Grand Prix competitions representing the Netherlands in Nations Cup competitions and was short-listed for the Barcelona Olympics, which earned him the prefix 'Olympic'. Ahorn is descended from one of the famous Holstein Families, no. 242 and is related to Joost, Alcatraz and Locarno. His mother produced 4 approved stallions and so far 3 international show jumpers. Trixie's Dam, Imalve produced Don Porfirio (Indoctro) who jumped in the Mexican team at the 2008 Olympics in Hong Kong. 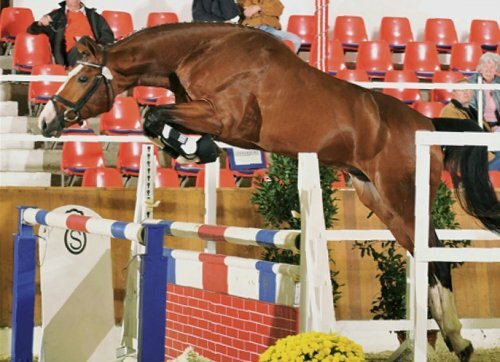 Trixie's Damsire, Ekstein won the KWPN stallion showjumping championship as a 7 year old and has sired many international showjumpers including the Olympic horse Joel. He is also the dam-sire of the Olympic Gold Medalist Hickstead, the number 1 ranked international showjumper in both 2009 and 2010. Banderas is the first approved son of the sensational European stallion Balou du Rouet, to stand in North America. Banderas is a very typey athletic stallion, with a lovely expression, clearly stamped by in looks by his sire. 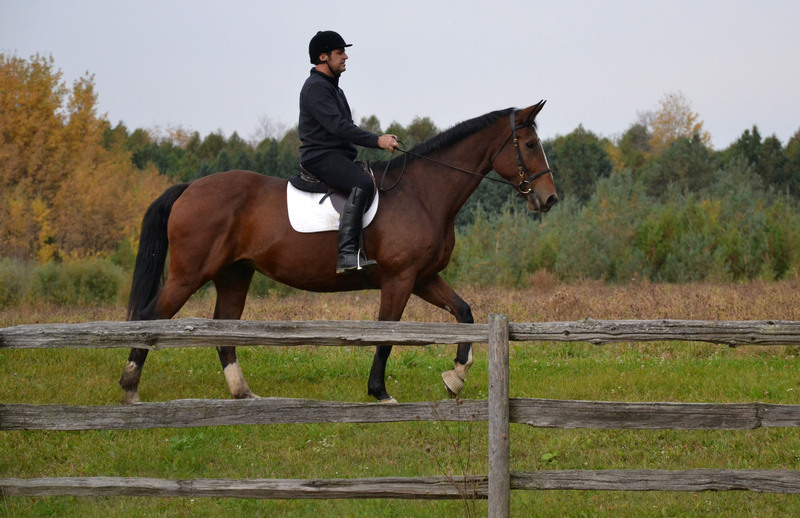 Banderas has three very good athletic gaits, and shows a huge amount of jumping potential, he jumps in classic form, and show a lot of scope. He also has a very good temperament and good nature. Sire Balou du Rouet is highly sought after as a breeding stallion, he is very known for producing type, elastic movers, and his oldest offspring are showing his prepotency for first class jumping ability. Banderas comes from a very strong dam line through dam Grisette he combines some of the best bloodlines available. 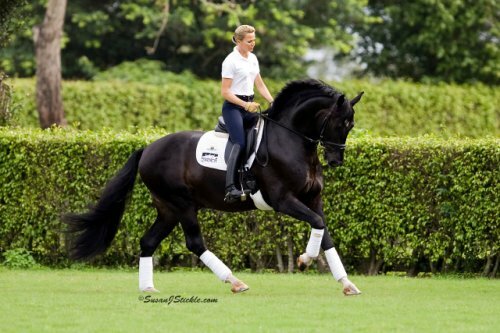 His dam sire is the legendary Grannus, one Germany's greatest sires with over five million DM in earnings, he is also the sire a multiple international and Olympic jumpers, including Top Gun La Silla(Jan Tops), Grand Plaisir(Ludger Beerbaum), Grannusch(John Witaker), Burmah Grand Slam (Nick Skelton) and Imperial to name a few. Grannus is also the sire of over 60 approved stallions. Great Grand sire is the Elite international stallion Beach Boy. He has sired 8 graded sons who are already making a name for themselves and his own progeny includes the 1991 Oldenburg performance test champion Brandenburger, the international showjumper Beach Game and the international eventers Beach Star and Feldschwalbe. His eight approved sons and 239 competitive offspring have earned him a BlUP score of 141 for both jumping and gaits. Banderas successfully completed his 70 day test at Silver Creek Farm in 2010, Banderas finished 4th overall. Some of Banderas' scores from the 70 day test Test Director scores Character "10",Temperament "9" Willingness to work "9.50" constitution "9" ridability "8.5", Free Jumping "9", Stadium Jumping "9" cross country "8.5" "walk 9" trot "7.50" canter "8"
Looking for a Jumper prospect? This foal, due June 2015, has all the right breeding - it will just need YOU to take it to the top. Colt or filly option. $10,000 in utero. (USD $8,000) Option to leave foal with us until starting. LFG includes registration and board until weaning.